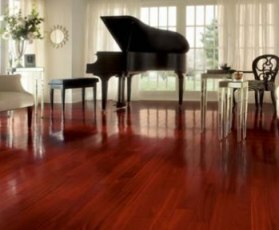 The Valenza™ Exotic Engineered Collection consists of 10-ply, 3 1/2" wide, 5/8" thick prefinished, engineered exotic hardwood floors. These floors have micro bevel edges and ends and feature a Permion® Semi-Gloss Finish. These exotic planks can be floated, glued or stapled subfloors that are on, above and below ground levels. They are also approved for installation over radiant heat. 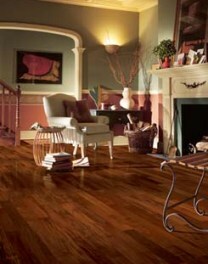 The Valenza™ Exotic Solid Collection consists of 3 1/2" wide, 3/4" thick prefinished, solid exotic hardwood floors. These floors have micro bevel edges and ends and feature the HartGuard® Deluxe aluminum oxide low-gloss finish. These exotic planks can be nailed down to wood subfloors that are on and above ground levels.